For the last few weeks sea-run fish known as alewives have been heading up Maine’s rivers to lay their eggs. Their journey is a breathtaking force of nature to behold, as they fight strong currents, heading upstream in droves. While probably hundreds of millions of alewives lived in Maine a few centuries ago, now they return at a fraction of their historical abundance. In Maine, we’re getting more determined to let these fish run. A d edicated community group in the midcoast has slowly restored a fishway at Damariscotta Mills not far from my home. Each spring I stand on the bridge where the ocean meets the stream that flows from Damariscotta Lake and watch hundreds of alewives all face in one direction: upstream. They wait in the crowd for their turn to struggle and jump over rocks, one after another, until they find the place their instinct craves: the lake where their life began and where they must now lay their eggs. In early June I visited the fish lift at the Benton Falls Dam on the Sebasticook River where, over the course of a season, millions of alewives, eels and others species are scooped up in the 600-gallon lift, poured into a shoot, and counted as they swim through tubes, and tumble over the dam. The numbers of alewives has increased dramatically to close to 3 million fish since the removal of the Edwards Dam on the Kennebec River in 1999 and the Fort Halifax Dam in 2008. The rebirth of the alewife run demonstrates the great success of those dam removals, and I am proud of NRCM’s role in the restoration of these rivers. This spring, the alewives are slowly returning up the St. Croix River, too. 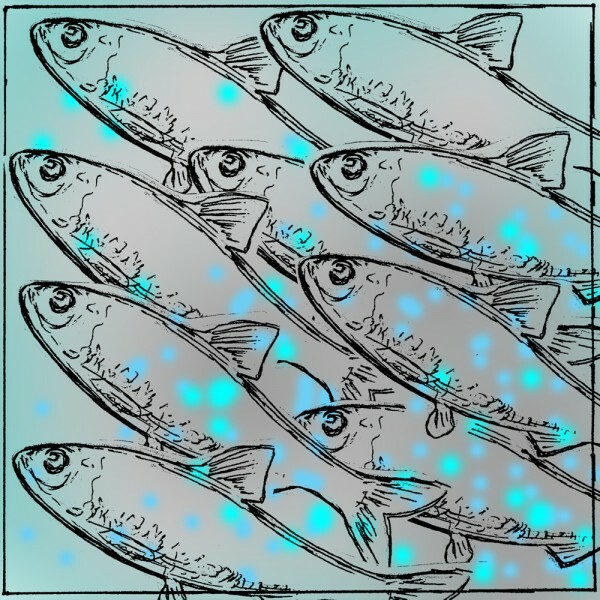 Last year the Legislature finally got rid of a misguided law that kept native alewives from making their annual passage to spawn in the St. Croix by blocking them with planks at Grand Falls Dam, and at the Woodlands Dam too, until 2008. With the removal of these barriers, the alewives are now slowly returning and we hope they will eventually come back in force each spring, as they once did. Meanwhile, on Maine’s largest river, the Penobscot, alewives are finding their way past the former sites of the Great Works and Veazie dams for the first time since the industrial age began in Maine. The internationally recognized Penobscot River Restoration Project, first conceived of over a decade ago, will reach its final goal soon with the building of a fish passage stream around the Howland Dam. Alewives, shad and, hopefully, Atlantic salmon, will be able to travel once again from the bays of Maine to up through an additional 1,000 miles of their ancestral freshwater habitat. Why do we care about these innocuous river herring and their numbers? Because they play such an important role in our ecosystem. These 10-inch-long creatures and their offspring provide food for other fish, eagles, otters and so many living beings along our river ways. When they return to the sea, they provide food for cod, halibut, porpoises, whales and many other species. There is nothing more natural than this annual migration to reproduce and maintain life. And yet this essential building block in Maine’s ecosystem has been repeatedly thwarted by humans over the last 300 years, which has harmed our ecosystems and one of the most bountiful sources of natural food on the planet. We have proven that humans can change their practices, and, when we do so, nature can rebound. We’re waking up. We’re beginning to identify dams that block fish and do not produce enough energy to make them worth the damage they cause or don’t generate any power at all. In addition, thousands of poorly installed road culverts were built to let streams pass under roads, but block fish from passing. So, we have a long way to go. I am proud to be part of the efforts to restore alewives and other sea-run fish, their legacy in Maine, and their rightful role in the cycle of life. Let’s give them a chance. Lisa Pohlmann is executive director of the Natural Resources Council of Maine.